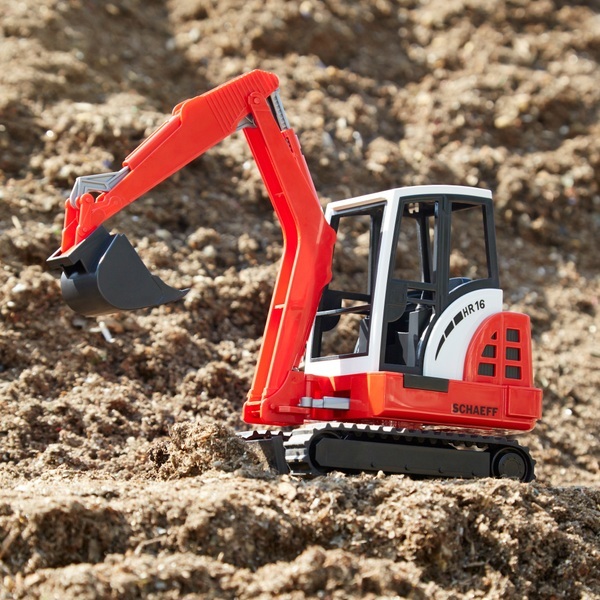 Make excavating easy with the Bruder Schaeff Excavator. The excavator arm is fully functioning, the bucket can be detached and the plough blade is adjustable. The jib crane of the Schaeff mini excavator can be articulated laterally, making a realistic excavator function possible. Also the driver's cab of the Schaeff mini excavator turns by 360° and the rubber tracks ensure a quiet rolling motion. Features fully functioning excavator arm and detachable shovel.